Progress report from the Cancel R Kelly At FPSF 2015 Facebook page: No progress to report. Thanks for all the support! On Monday March 9th, we met again with Free Press Summer Fest. They had nothing to report about any decision. So, it’s time to move into all the strategies of a campaign that we intend to win. If you are interested in being part of the next phases of our campaign, say so in the comments! See here and here for the background. I look forward to seeing what that campaign looks like. As Texas Monthly noted last week, the FPSF Facebook page was still promoting R Kelly’s appearance; that latter link is from a few days after the TM story. The same is true for the banner ad atop the Free Press Houston webpage, which has not mentioned the controversy at all as far as I can tell. Anyway. There is now a petition that calls on FPSF to cancel R Kelly, and there’s no shortage of better alternatives out there if FPSF wants to look. By now it seems clear that their strategy is to lay low and hope it all blows over. Which, one must admit, is an often successful gambit. It’s on those of us who don’t like this choice or the response to the negative feedback to it to keep up the pressure. So sign the petition, like the Cancel R Kelly at FPSF 2015 Facebook page, and make a little noise. People may or may not listen, but you can be heard. The filer is a former colleague as well as a former opponent of Travis County DA Rosemary Lehmberg. Rick Reed, who ran against Lehmberg in 2008 and is now a defense attorney in Austin, filed the petition with the district clerk’s office Wednesday. In all, it claims 16 counts of official misconduct ranging from coercion of a public servant to retaliation. On Friday, one of Lehmberg’s attorneys said the petition appears to be another attempt to remove her on grounds that already have been rejected by a judge. Her attorneys also have responded to a separate lawsuit seeking Lehmberg’s removal, asking the court to dismiss it and calling it unconstitutional, saying that the state has singled her out in a way it hasn’t male office-holders. Reed’s petition was submitted under a state law that allows the removal of a district attorney on grounds of incompetency, official misconduct and intoxication on or off duty. He said Friday that he filed the petition in part because the already existing lawsuit to remove her from office only addresses intoxication. Reed cites Lehmberg’s request for the sheriff throughout his petition, among other actions, as examples of her alleged official misconduct. “She committed numerous criminal offenses when she was detained by deputies, and this is someone who is the chief law enforcement officer of Travis County,” he said. The first petition was filed by Austin attorney Kerry O’Brien in April. O’Brien, a former assistant state attorney general, sought Lehmberg’s removal on grounds of intoxication, incompetency and misconduct. Judge Lora Livingston granted O’Brien’s request on intoxication grounds but denied his application for a citation issuance in the case on grounds of incompetency and misconduct. Later that month, Travis County Attorney David Escamilla dismissed the lawsuit, which had procedural problems, but immediately refiled a new civil case with himself as the plaintiff. Then on Tuesday, Austin resident Matt Murdock also filed a petition for Lehmberg’s removal, but he said a district court judge attached his case to Escamilla’s. Reed’s petition is still pending. Things had been a bit quiet in Lehmberg land lately. This was the first new news I’d seen since she was released from jail three weeks ago, though I can’t say I’d been paying especially close attention with all that had been going on in the Legislature. As with the other petitions, this one requires approval from a judge in order to proceed, and it may wind up being joined with the Escamilla lawsuit. What all this suggests to me is that the political heat on Lehmberg has simmered down a bit, but it has definitely not begun to cool off. She’s still very much in jeopardy. I think she’s more likely to survive now than she was when this all first blew up, but she’ll never be in the clear. Looking for a new cause to get involved in? Here’s a movement to allow people to raise hens in Houston. “Hens for Houston” is working to promote a sustainable and progressive Houston in which city dwellers can keep 4-6 hens on the small city lots such as those found inside the Beltway and the 610 loop. The current ordinance is outdated and based on the idea that chickens do not belong in an urban setting. This view is at odds with our current understanding of the necessity of green living to make our cities more sustainable, combat food deserts, and reacquaint our children with the food cycle. Plus, hens make great pets! Many urban cities, such as New York, Chicago, and Dallas have progressive, forward-thinking ordinances permitting the keeping of 4-6 hens on city lots. Even Bellaire, TX has chickens! You can learn more about their mission on the Why Hens? page and at their FAQ. This is still a work in progress, as they do not yet have a proposed ordinance prepared. If you want to support the effort, they’ve got a petition at Change.org to sign. Two decades ago, the Postal Service issued a series of stamps depicting Earth, its moon, and the spacecraft sent to explore each of the other planets in the solar system. Those three words have annoyed Alan Stern ever since. Stern, an associate vice president and scientist at Southwest Research Institute, was making plans at the time for what would become the New Horizons mission to Pluto, which launched in 2006. Now Stern, principal investigator of the mission, along with astronomer and artist Dan Durda, is trying to set the record straight. The scientists have designed a new stamp for Pluto, and they have launched a petition drive to get the post office to issue it when New Horizons reaches the dwarf planet in 2015. And the old stamp? It has provided a little motivation for the whole enterprise. 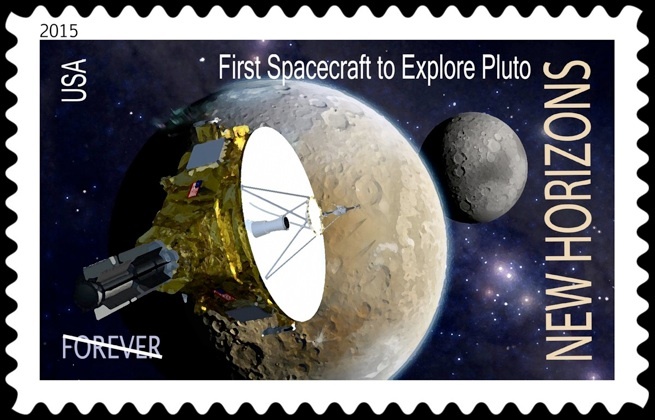 “We took one of those old stamps that said “not yet explored,” and we put it on our spacecraft and are flying it to Pluto, as kind of an ‘in your face’ thing,” Stern said. See here for some background, as well as a picture of the 1990 “not yet explored” stamp. Here’s the SWRI page about their quest, and here’s the petition. “Dwarf planet” or not, this deserves to be commemorated. They want to turn in the signatures by March 13, which is the 82nd anniversary of Pluto’s discovery by Clyde Tombaugh. Show Pluto a little love, won’t you? Some further information about the proposed changes to HISD’s magnet school program made by Superintendent Terry Grier at Thursday’s public meeting. Funding would drop at 69 schools and increase at 53 under Grier’s preliminary plan. In all, the district would slash spending for magnet schools, excluding busing, by more than $4 million next school year, according to a Houston Chronicle review of the data. Grier emphasized that the numbers could change and the ultimate decision will rest with the school board. But the potential cuts have parents and students worried that their schools’ beloved offerings will all but disappear, especially with a looming state budget shortfall. Combined, the programs on the chopping block serve about 10,060 students. About 18 percent of those come from outside the neighborhood. Grier says the schools where he proposes ending magnet designation either aren’t attracting enough out-of-neighborhood students or lack sufficient space. Key Middle School, for example, now receives $187,128 for a foreign language magnet program that serves 77 students, five of whom come from outside the attendance zone, according to HISD data. Magnet schools were created in HISD and across the nation as desegregation tools, intended to attract diverse students from across the city to special programs. T.H. Rogers, which has a program for gifted and special-needs students in elementary and middle school, would experience the largest loss, from nearly $3 million to about $650,000. Grier said the school originally was funded at a high rate to expand its program for students with disabilities, and it continued to get the money despite a limited expansion. The school now spends much of its money on extra teachers – needed because they get two periods to plan without students, he said. We learned last night that the HISD administration is recommending eliminating Hamilton’s Vanguard program in order to create a dual language magnet in its place. The Board of Trustees is scheduled to vote on the recommendation next Thursday, March 10th. We don’t have any information about how or when this change would be implemented. The effects of such a change will not only be felt by current families and future families of Hamilton, but the entire Houston Heights and surrounding communities. The Hamilton we know today has been in the making for over 10 years. We see little sense in dismantling a successful program with committed students, families, principal, teachers and staff. Let’s plan on keeping the Vanguard Program at Hamilton intact and growing. We, as parents and concerned citizens, must communicate with the Board and its president in such a manner that they understand that the Vanguard Program at Hamilton—a program designed for kids who are committed to work hard at school, strive for excellence, and take education very seriously — is important for the well being of the entire HISD school system and the ongoing efforts for improving education in the State of Texas. THERE IS NO TIME TO WASTE! Next Thursday will be here before we know it. Please email Dr. Grier, Anna Eastman and other Trustees to let them know how valuable Hamilton’s Vanguard program is to you. Email addresses are listed below. Also, plan to attend a community meeting hosted by Anna Eastman Tuesday evening, March 8th at 6 p.m. in the school cafeteria. I suspect Grier and the board will be hearing a lot more like that. (And indeed they are – any decision on magnet school changes has been postponed till the next fiscal year.) As with the original proposal by MSA, I suspect what we see now is subject to further change. In addition, I expect the board will hear a lot about the schools that have been targeted for closure as a result of budget pressures – there are already petitions to save Love Elementary, the magnet program at Jeff Davis High School and Project GRAD out there. I’ve also seen a sample letter to write on behalf of Love Elementary, which I’ve reproduced beneath the fold. Again, if any of this affects you, now is the time to get involved and make your voice heard. There’s plenty of things you can do, and any of them will help. UPDATE: Since I didn’t make it very clear in this post, please note that Superintendent Grier has decided to defer discussion of magnet school changes until the next fiscal year. “We will continue fine-tuning the preliminary proposal that was unveiled last week and gathering input from all stakeholders with the goal of bringing the issue back before the board sometime around September,” Houston Independent School District spokesman Jason Spencer said in an e-mail Sunday. Board president Paula Harris, who called the special meeting last week to fast-track a new policy on magnet schools and to get public input, said the decision to slow down now is a response to the wishes of the community and the board. 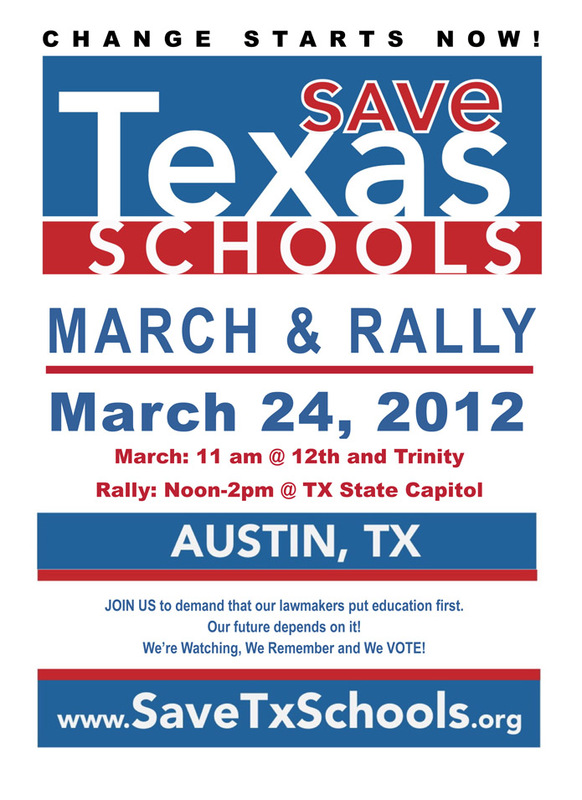 So there’s still time to make sure your voice is heard. Make sure you make the most of it. I don’t know how I feel about this, but it’s out there so I feel I should say something. The time has come for new leadership in the Harris County Democratic Party. After November’s defeat, we should look to new leadership, new ideas and a new strategy to win in November 2012 – because the status quo is no longer good enough. If you believe that it is time for the resignation of the current Chair, and the election of a new Chair, then sign this petition and let your voice be heard! On the one hand, I don’t really have any problems with the job Gerry Birnberg has done. This past election wasn’t about anything he did or didn’t do, or could have done, and as far as I can tell Democratic turnout locally wasn’t bad. As such, I’m a little reluctant to call for change without knowing what we’d be getting as a replacement. I can certainly imagine things getting worse post-Birnberg – see Bexar County for an example. There’s basically nothing at this site to indicate who’s behind it or what they have in mind. If that’s my only other option, I’ll stand pat, thanks. On the other hand, while I like and respect Birnberg, I can certainly understand the sentiment behind wanting to do something different after suffering the losses we took two months ago. Ultimately, the scoreboard is what matters, and if you don’t win you shouldn’t expect to be rewarded, Gary Kubiak notwithstanding. Maybe there’s someone out there who has a surefire plan to finally boost Latino turnout to levels we’d all like to see. I guess I’d just like to know who that person is and what he or she has in mind to do before I get on the bus. In my researching for the contact info I was lead to DomainsByProxy.com of Scottsdale AZ as the official contacts for this “group”. Upon going to their website you quickly learn that it is their business to shield and hide such information from the public. I don’t know about you, but I don’t think we should be endorsing or associating with any entity that is purposefully wanting to be secret. I agree with this. Frankly, the lack of an “About Us” page, or some other introductory information about who these people are and what they have in mind was suspicious enough to raise flags, but by now you should be hearing klaxons going off. My advice is to stay away, and if you want to see a change in HCDP’s leadership then organize your own effort and work to get others on board with you. Campos has more.